Since lately the first british Pro Continental Team, the ONE Pro Cycling Team, is on the road on our Fascenario.3 in the Aston Martin Special Edition. Fast and nobel! 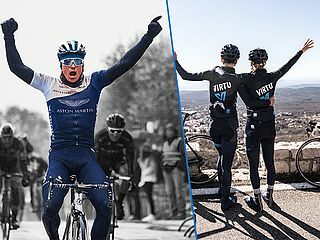 "Join the Ride" - this is the slogan of the danish Virtu Cycling Team that is also riding our Fascenario.3 Der Squad consits of one "Continental" Mens-Team and a "Worldtour" Women-Team that is managed by the former Bikepro Bjarne Riis. 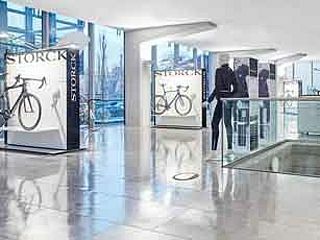 Storck Bicycle has released an all new page for all Storck Stores & Studios worldwide. Our new Store in Munich is opened since Friday 27th October. 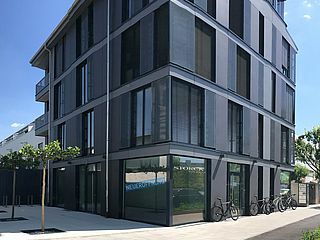 We present the whole Storck program on 160 sqm. This is our 15th Concept Store worldwide. Cycling holiday on its highest level! 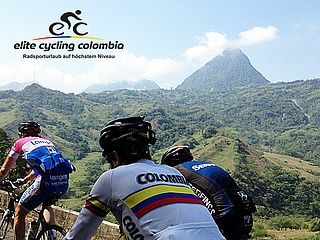 The Andes with its vast mountain-massifs characterizes Colombia and makes it to one of the best training areas worldwide. ECC is represented with a first-class fleet of Storck bikes and offers a very special cycling experience. 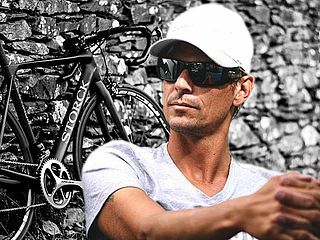 Since the beginning of this year, Andreas Klöden has become the new Storck brand ambassador. As one of the world's strongest cyclists, he took part in such prestigious teams as Team Telekom, Astana and RadioShack. His greatest results are the 2nd places at the Tour de France 2004/2006, the 1st place at Paris-Nice 2000 and Vuelta ciclista al Pais Vasco 2000/2011, 3rd at Olympia 2000 and the German Championship 2004. 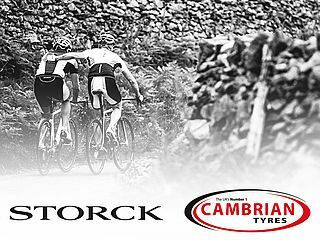 CAMBRIAN TYRES LTD. has become of the 6th of February 2017 the exclusive Distribution Partner for Storck Bicycle GmbH in the UK. The Aberystwyth-based company are the UK’s N°1 Motorcycle & Bicycle Tyre Distributor. The highly experienced sales team is taking it’s next step by adding Storck Bicycle as a premium product to it’s existing cycling portfolio of Continental tyres and EDCO wheels. 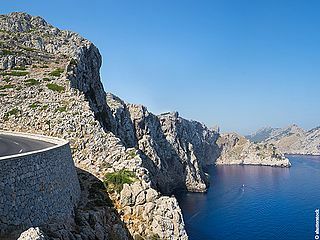 Storck and Zollinger increases their cooporation in Mallorca (Spain). There will be an trainings camp from 11th to 18th of April in 2017 and a new Store with a lot of Storck models will open in Alcudia at the same time. 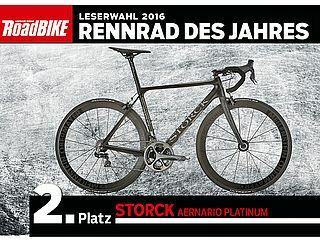 Aernario Platinum became 2nd at the "roadbike of the year" election by Roadbike-Magazine in Germany. 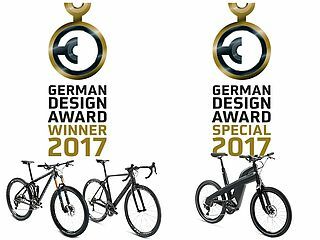 The success story is going on: 3 awarded Storck models at the German Design Award 2017! 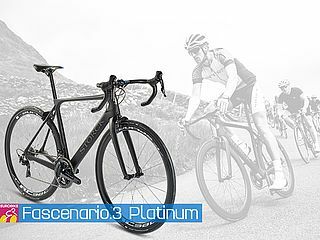 The Fascenario.3 Platinum is Storck Bicycle's completely new platform, optimized in every criteria as well as in the wind tunnel. The F.3 forms the basis of the collaboration between Storck and Aston Martin: a limited edition of 77 pieces F.3 bikes with an unique silver finish created exclusively for Aston Martin, with Sram eTap group set and Zipp wheels. In the Bicycle Brand Contest, the German Design Council recognizes outstanding product and communications design of the international bicycle industry. Within its category, the Durnario Platinum and the Adrenic Platinum have received the "winner's" accolade. 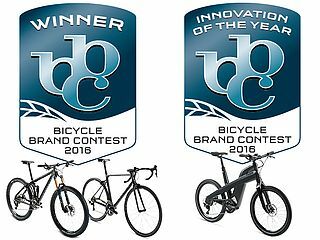 At the same time, the jury has recognized the Storck E-Bike concept nam:e with the "Innovation of the year" Award. 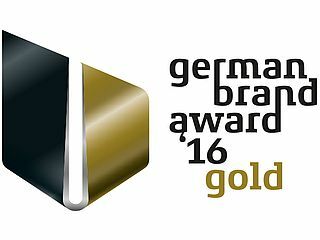 Storck Bicycle is awarded with the German Brand Award, Gold! The Jury: "Storck Bicycle always follows its own lead in terms of design and technical development and keeps setting new standards - and has been doing so for the past 20 years. 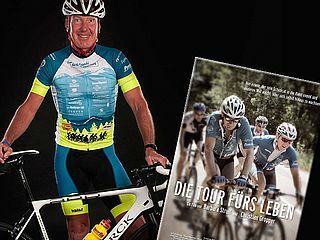 Around 70 design prizes and specialist press test results emphasize the Storck brand's exceptional position and have helped it to firmly establish itself at the uppermost level." The documentation about Andreas Beseler and his projects "Bike instead of wheelchair" and "Besi & Friends" celebrates its first run at cinema. Filmmaker Christian Gropper and Barbara Struif accompanied these projects and created a heart touching film project. The film reveals on the one hand fate and suffering, and on the other the infinitely optimistic that the will of each single person can move gigantic things.